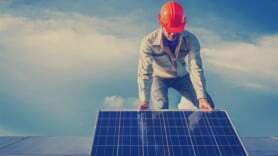 The Australian Government has announced plans to invest A$400 million (£243.3m) to develop off-grid renewable energy projects in rural areas of the country. The programme aims to generate 150MW of electricity from renewable energy sources within the next five years, with at least two large-scale plants of 10MW or greater expected to be built. Resources and Energy Minister Gary Gray said energy demand is growing faster in the Pilbara region located in the north of Western Australia – where the cost of wind energy can be half that of diesel – than any other part of the country. The Government’s Australian Renewable Energy Agency (ARENA) will support the projects through its Regional Australia’s Renewables (RAR) initiative. Earlier this year, ELN reported more than one million households in Australia had solar panels installed in their homes.